This is a test miniature for an upcoming commission I have been contacted for. The customer chose the color scheme and logo and they are known as the Cadian 722nd "Hurricanes." 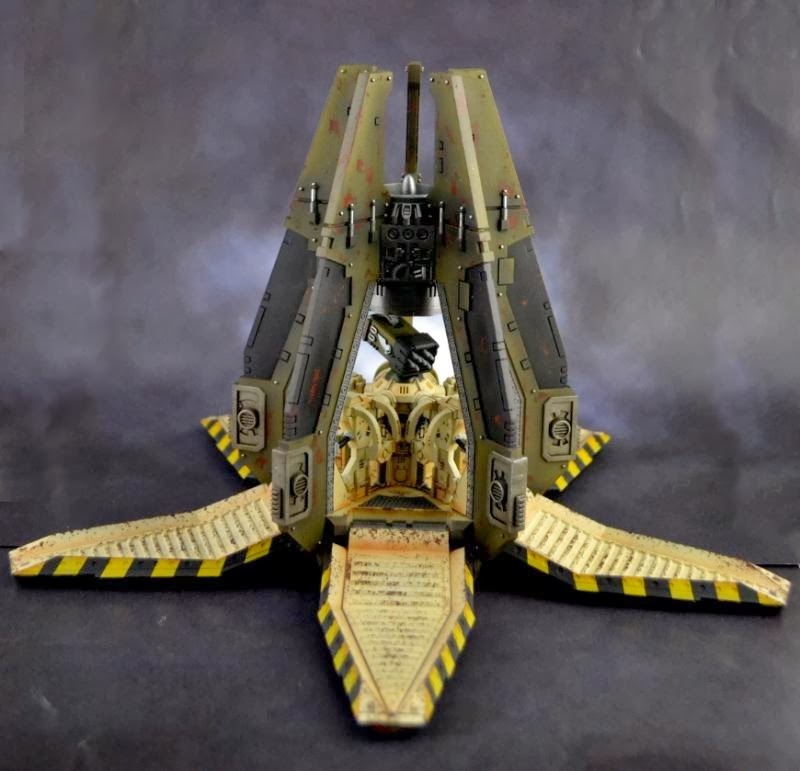 Here is a Raptors Drop Pod I recently completed. Though technically complete, I was thinking about adding some streaking effects with oils. I also had concerns about the brightness of the chapter iconography and Aquila, so I look to address that in the coming days. All and all, I was pretty please with how this model turned out and I learned a ton about painting a model of this size.